Michael J. Hinton is a Principal in Cummings & Lockwood's Corporate & Finance Group and is based in the Stamford office. Mike is a transactional lawyer who concentrates his practice in the areas of commercial real estate, corporate finance, tax-advantaged investments, joint ventures, UPREIT and downREIT transactions, construction contracts, leasing, financing, brownfield development, environmental remediation and land use restrictions, area development and franchise agreements, private placements and partnership law. 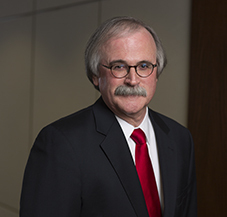 A significant portion of his practice involves the preparation and negotiation of partnership agreements, joint ventures and operating agreements, including series limited liability companies. Mike is also Co-Chair of the Corporate & Finance Group.